4. Your golf tubes will be produced and shipped followed by a tracking number sent by email. The Two Ball Tall Tube offers a great way to provide sponsor visibility and gives a greater value to participating golfers for their round of golf. Each kit comes equipped with twelve 2-3/4" tees and two Wilson Ultra Ultimate Distance golf balls inside a .. Custom Logo Golf Convention Tube with 3 Logo Golf Balls. This item offers a great way to provide sponsor visibility and gives a greater value to participating golfers for their round of golf. Each kit comes equipped with three Wilson Ultra Ultimate Distan.. 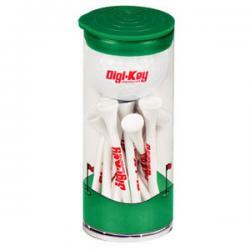 Bulk Printed Golf Ball Tube - Golf Tournament Gifts.. Golf Tradeshow Golf Balls in Tube - Golf Tournament Gifts..